According to the U.S. Department of Energy, 7 million Americans use propane as their primary heating fuel, but 14 million Americans have propane delivered to their homes for "some fuel usage purpose"
At other times, propane accidents can merely cause property damage and not injuries- in this case, companies and careless individuals alike can still be held liable. If you have been injured in a propane accident that occurred because of another person or company's carelessness, you should fight for damages, in order to receive compensation for medical bills, rehabilitation, lost wages and pain and suffering. Settlements for propane-accident related injuries have led to some of the largest recoveries for survivors across the nation. It is important to hire a personal injury attorney on your side, as he/she will be more familiar with industry customs, state regulations, can investigate the design and operation of the propane system that exploded, will have professional connections within the field and will also understand fire dynamics. Whether you or a loved one sustained injuries or property damage following a barbeque grill explosion, home heating explosion or an industrial accident, Zinda Law Group is prepared to help you with any of the details surrounding your case. We can help you find out such things as- did your gas grill have insufficient ventilation? Did the propane tank have a defective valve or loose valve, or was the tank itself defective? Because you only have two years in which to file a personal injury claim in Texas, you should act swiftly to fight for the compensation and justice you deserve. We know that right now is probably an overwhelming, stressful and painful- if you are still recovering- time for you and we are here to help alleviate some of these factors. 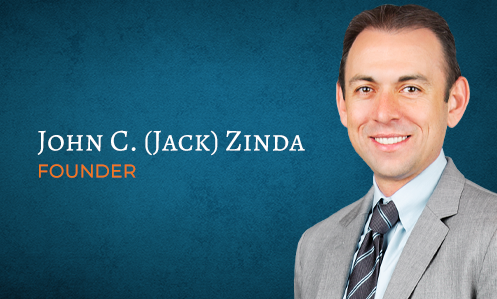 With over 10 years of experience, glowing customer testimonials and awards such as being named Texas SuperLawyers®, Zinda Law Group is a firm you can trust that will smoothly and confidently navigate you through the choppy waters ahead. What are you waiting for? Give us a call today!